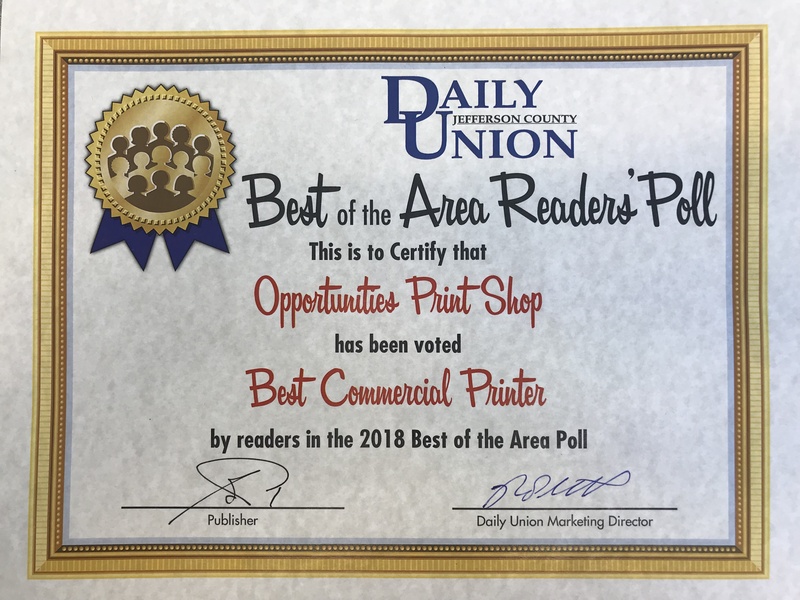 Opportunities, Inc. Print Services Receives Best Commercial Printer Award - Opportunities, Inc.
For the 11th year in a row, Opportunities, Inc.'s Custom Design and Print Services received Daily Jefferson Union's Best of the Area award for Best Commercial Printer. The team is honored time and time again for its valued customers and positive service response. They thank everyone for this award!